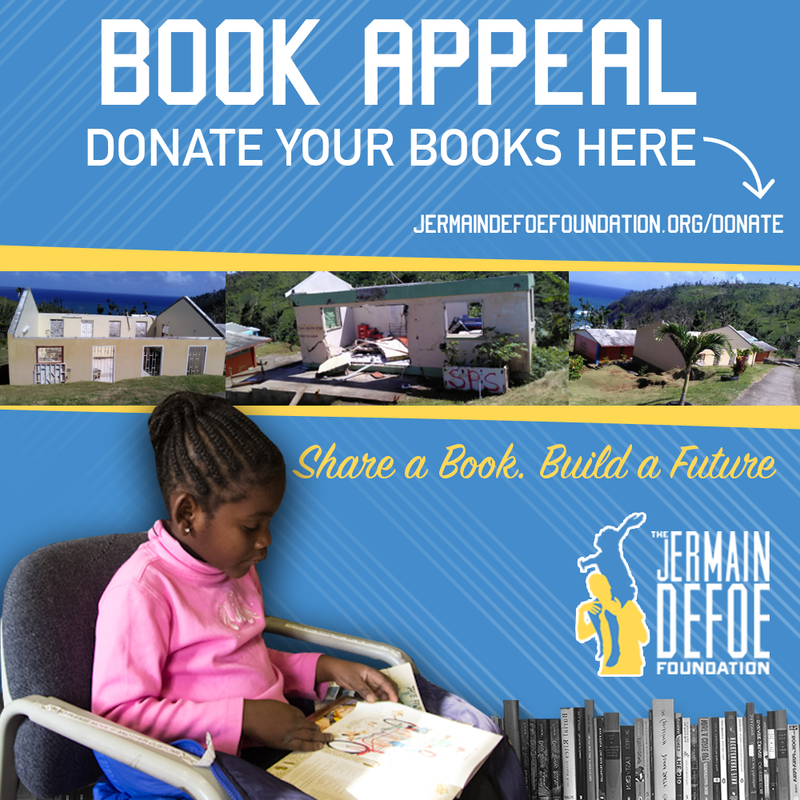 Help us rebuild schools in Dominica after Hurricane Maria by donating your unwanted books. “The library is a priority for us. We lost everything in the library. It would be great if the foundation can donate library shelves, books, cupboards, tables”. These are the words of Ms Kathleen Lewis one of the teachers at Sineku Primary School in Dominica. In 2017, Hurricane Maria left the island devastated. Missing roofs, broken windows, books and desks lie strewn all around school compounds. An estimated 90 per cent of buildings on the islands were damaged or destroyed – and the schools weren’t spared. Many children have not yet returned to school, and a sizeable portion of the population is highly vulnerable due to the loss of their main source of livelihoods. If you are looking to get involved please contact us at events@jermaindefoe.com or Call Us on 01708 511809. You can post or drop off your books to: Defoe Enterprises, 2-4 Eastern Road, Romford, RM1 3PJ. We would like to thank you for your continued support.